All-Access - Page 4 of 39 - Custom sports posters, personalized team collages, senior banners, and team schedules for your athlete! All-Access - Page 4 of 39 - Custom sports posters, personalized team collages, senior banners, and team schedules for your athlete! Do you have a team that needs to be recognized for all their hard work? Or maybe even just won a championship and aren’t sure on to give them the recognition they deserve? Try out a custom team banner! They are great for showing your team how much you appreciate all they have done this season or for a season ending gift. The banners are even better for making sure the whole school or organization knows how amazing your team did this season by hanging it up in the gym. With the new year and winter sports wrapping up, we know what that means…Spring Sports! You have softball, baseball, lacrosse, soccer, cross country, and many more that are about to start practicing for the upcoming season. Wouldn’t you like to get your seniors something special ,yet awesome at the same time. A custom senior banner would be the perfect way to recognize your seniors ,but also make your bleachers or stands stand out from any other schools. 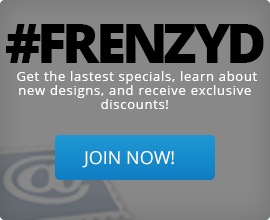 Let us help you create something unique that all the players, parents, coaches, faculty, and student body will love! 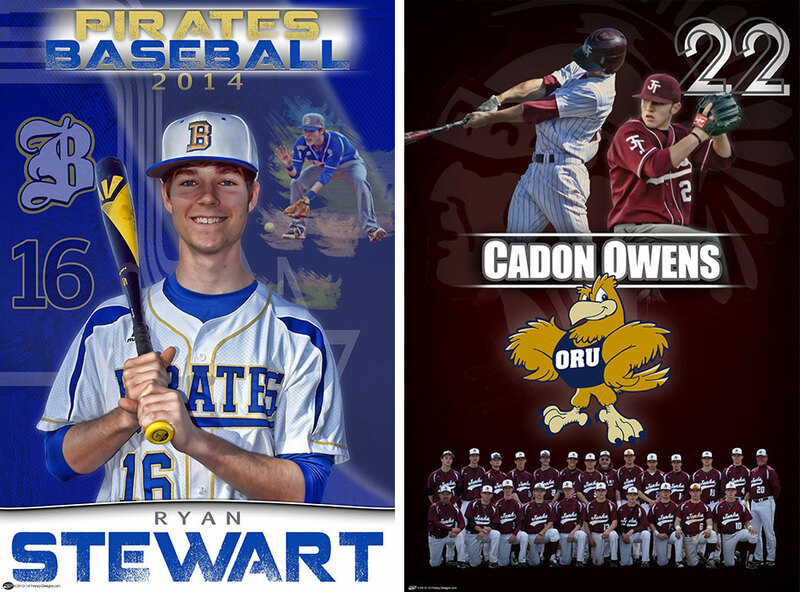 With baseball season coming up, why not get great custom senior baseball banners for your seniors? It helps recognize their hard work and commitment towards the team. Also, it would be a great gift for the players after the season is over. The banners would make a great addition to your dugout or bleachers to show off those awesome seniors! Each design includes either an action shot or still shot as the main photo. Then have at least one action shot you can add with it. Do you want to recognize your seniors for all their hard work and dedication to the program? Tired of the same old medals, plaques, or trophies? Do you want to give your seniors a unique gift that they can have as a great keepsake to remember all the good times they had with their friends? 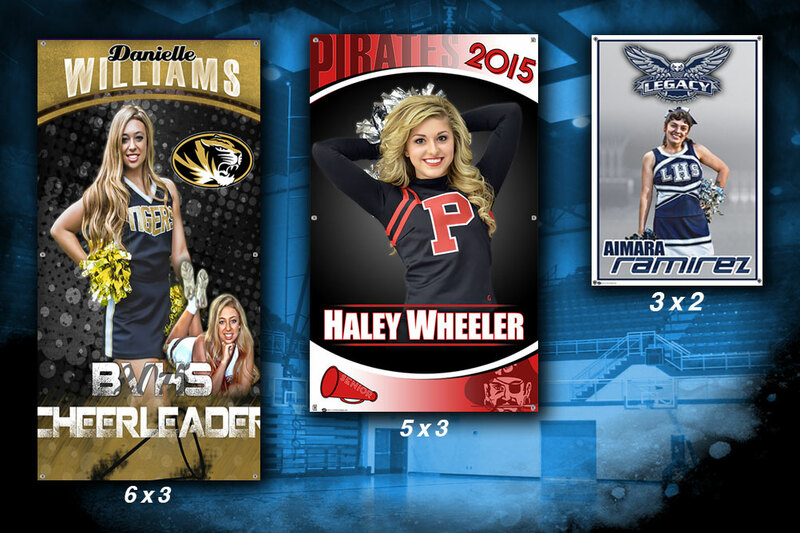 Here are some of our product designs that work great on a banner than can help show off your senior cheerleaders! To see more designs, visit on Pinterest page and see our Cheerleading board. Let’s make sure you don’t forget about your girls of the winter season by getting them custom cheerleading banners! Maybe you have a great group of seniors on your hockey team that deserves to be recognized? 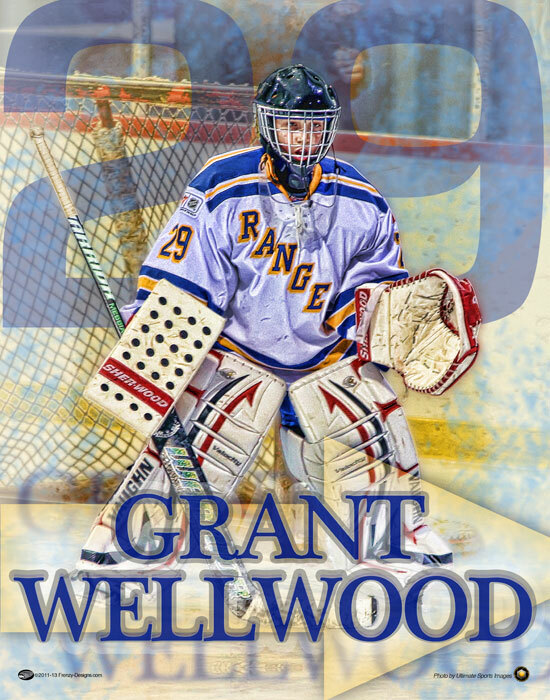 Show your support for those senior players with a custom hockey banner that can help decorate the field or stadium, while showing your appreciation for all their hard work and dedication. Whether you are on a rec team or a high school team or a college team, why not celebrate the season with a cool sports design to put on a poster to capture the good times? Does your senior basketball players or your varsity basketball team have a banner in the gym for all the student body and visitors to see? 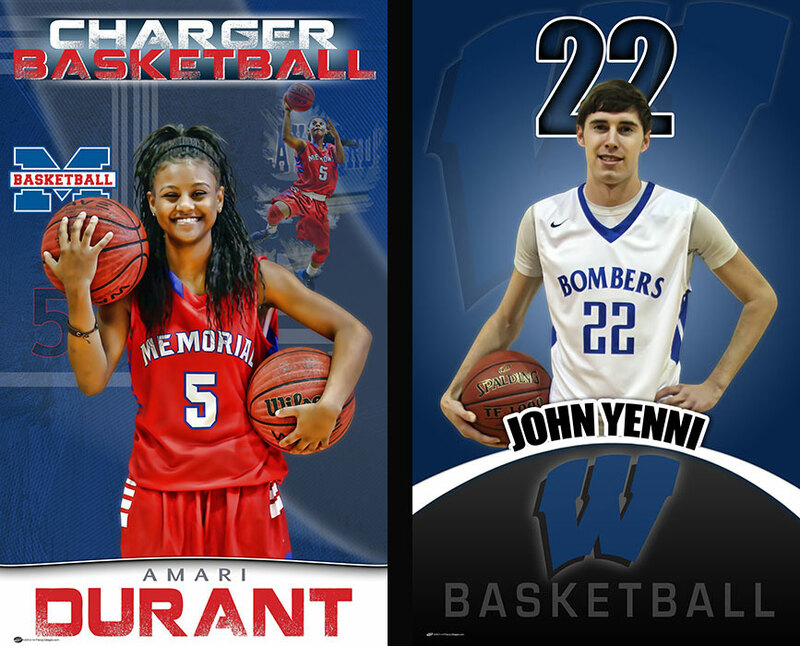 Get ahead of the other schools by getting your seniors their very own senior basketball banners for the whole season. Want to recognize your senior basketball players or your basketball team for all their hard work? Want to help spice up your gym with a cool looking banner of your seniors or your team to show off your school spirit?